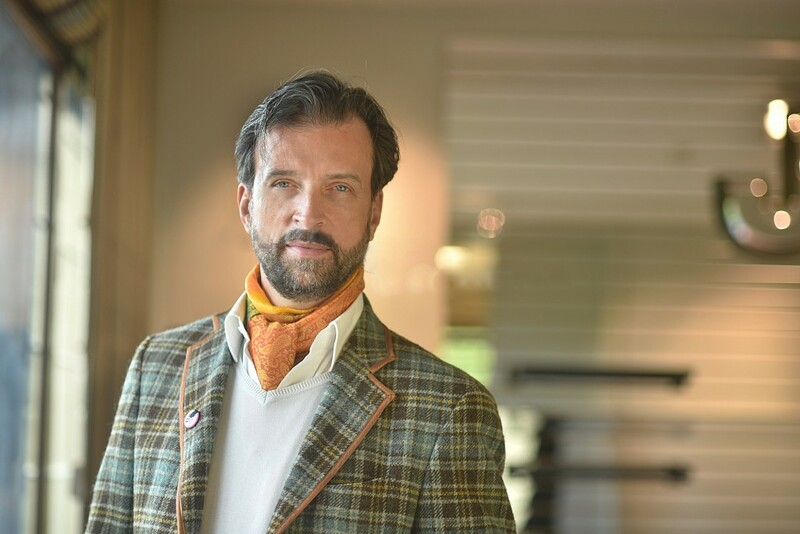 Well-trained in investment banking in New York and London, Alain Servais has been collecting art for two decades and has been actively sharing his views on the art industry and market. He collects various works by emerging artists, except paintings and drawings. 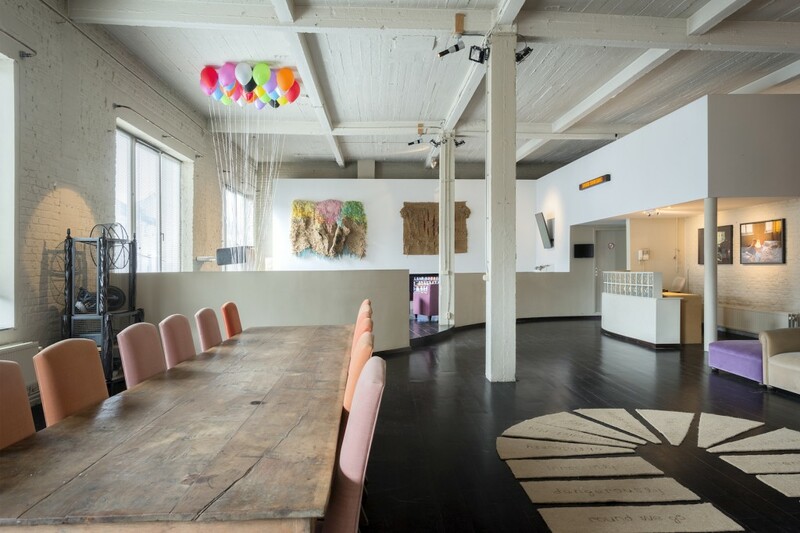 Moreover, he supports young artists by offering residency program in his loft in Brussels where he keeps his collection. Besides the story of his collection, Alain Servais has shared with Larry’s List also on why he does not collect painting and drawing, why he is always active on Twitter, and particularly his perception and insights on the art market. Alain Servais, 2017 © Michel Loriaux. Courtesy of Alain Servais. My initial “visceral” interest in art came from the serenity it was giving me, particularly when I was visiting museums. It is probably linked to the ability it gave me to project myself out of myself to discover something or someone who is not me. One doesn’t wake up one morning deciding one will become a collector and certainly not of contemporary art. It implies curiosity, sense of experimentation, time, monetary resources and also a weird urge to possess things, but even this is not enough. “Accidents in life” were also necessary to allow this inner inclination to develop as there is no history of art collecting in my family nor any art history in my curriculum. Some I can name here are the re-connection with a childhood friend, who happened to get hired at Gagosian Gallery; the sale of my participation in the investment bank I was working with, which gave me more time and money; and lastly, my divorce and the shared custody of my beloved children which allowed me to travel without the guilt of leaving them behind. I travelled with my father to NY when I was 16. As I told earlier, nothing in my background was driving me to art. I therefore still don’t know what drove me to the Museum of Modern Art in front of Picasso’s “Les Demoiselles d’Avignon” and Van Gogh’s “Starry Night”, but something snapped in my brain and my heart there and then. It took many more years occupied by studies and early professional career before it fully developed into the current passion. (left – right) Josh Kline – Sleep is for the weak, 2011, Li Jinghu – Waterfall, 2015, Bill Henson, Untitled #52, 2001, Pieter Hugo – Permanent Error – Aissah Salifu, Agbogbloshie Market, Accra, Ghana, 2010, Julian Charrière- Future Fossil Spaces, 2015 © Hugard & Vanoverschelde photography. Courtesy of Servais Family Collection. What is your focus regarding the artists in your collection? As a shortcut, I say I am collecting “ideas” and not objects. I see art as “a language opening my heart to the Other”, but of course my heart drives me to different subjects more particularly. In my opinion, a collection will always be an image of its initiator. However, for a collection to be interesting, the collector must not only “collect himself”, but instead open up to a broader reality. I am constantly trying to meet that challenge. Within that context, there are a number of themes that cross each other in various works across the collection to give it diversity, which I believe is inherent to human nature. I would hate for the collection to be entrapped by never evolving themes. I am interested in humanity, the way we live together and how we organize ourselves today and all over the world but I am particularly drawn to minorities, as I believe it is in their treatment one can judge the level of “maturity” of a society. It draws from the fascinating studies and writings of Claude Levi-Strauss on anthropology and ethnology with developments towards psycho-sociology. The ground-breaking book by the French philosopher Edgar Morin “The lost paradigm: human nature”, taught me as an adolescent that despite their efforts to extract themselves from and pretend to dominate nature, humans are often so much easier to understand through their “natural” side, their “animal” side which implies violence, instincts, sexual drives, etc. This book can explain a certain “rawness“ in the collection. My still-developing knowledge of art history convinces me every day that the art worth collecting, that the art that some will want to see in 30 years time, is always closely related to the socio, politico economic context of the society it develops in. It forces me to ask myself continuously what history in 100 years will remember from our times. From that question I developed my interest in a globalized art scene in line with the clear trend towards a globalized world but also in a deep interest for digital art which fits the fabulous development of computers and the internet. It includes also a deep interest in ecology. 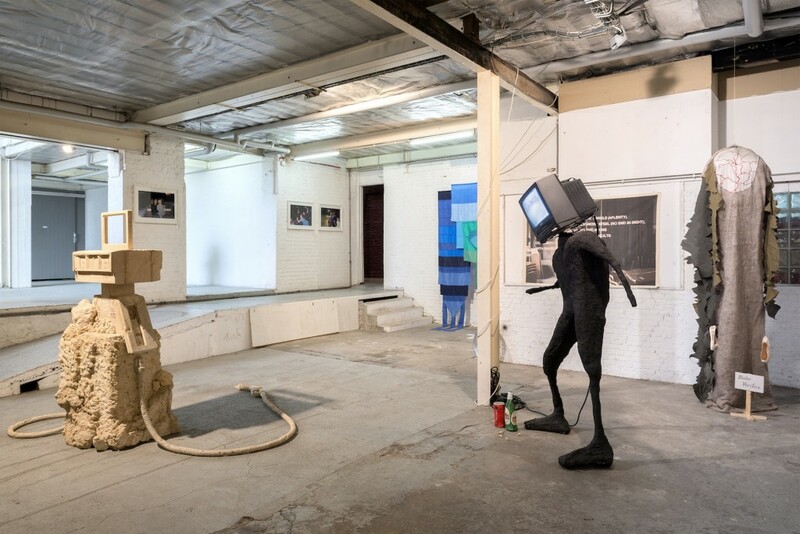 (left – right) Vytautas VIRŽBICKAS – (Just in case) you don’t know what the meaning of life is, 2016, Appau Junior Boakye-Yiadom – P.Y.T., 2009, Josep GRAU-GARRIGA – Nova Primavera, 1975 – Pell Martir, 1971, Thomson & Craighead – Help Yourself, 2016, Jenny Holzer – Truism, 1983, Nan Goldin – Smoky car, New Hampshire, 1979 – David in bed, Leipzig, Germany, 1992, Irina Bujor – Round, Round We Go, 2016 © Hugard & Vanoverschelde photography. Courtesy of Servais Family Collection. Are you more interested in emerging or renowned artists? Our family are collecting many emerging artists (even if this notion would deserve a definition) but for many years and with a better understanding of art history, we are also happy to acquire what we consider underestimated masters (still in the contemporary field of course). It started during the 2008 crisis when emerging artists’ prices refused unexplainably to come down when masters’ prices did sometimes drop sharply. We then also realised that confronting masters with emerging artists was an interesting first challenge for the last ones. 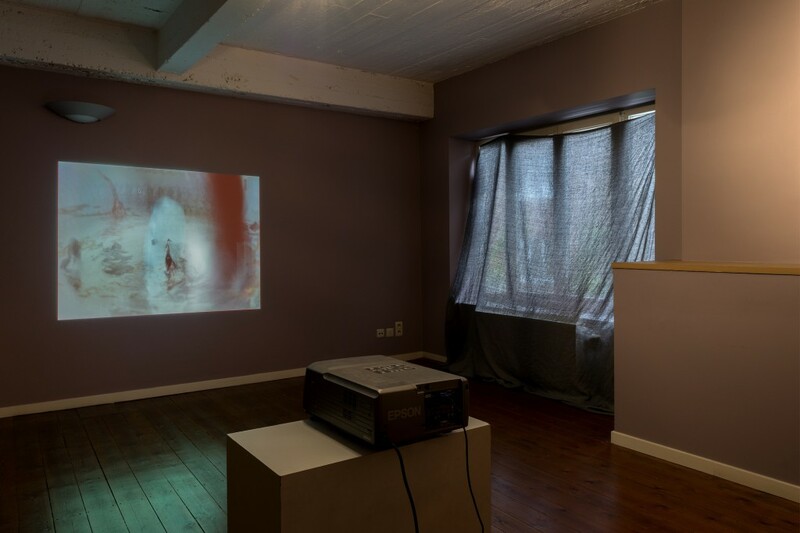 (left – right) Allora & Calzadilla – Petrified Petrol Pump, 2010, Nikki S Lee – The Lesbian Project( 3), 1997 – The Swingers Project (4), 1999 – The Senior Project (10), 1999, Andrea Canepa – Untitled, 2014, THE BRUCE HIGH QUALITY FOUNDATION – The Apostles, 2014, Apparatus 22 – Appetite, 2017, GLUKLYA – Matter Veritas, 2015 © Hugard & Vanoverschelde photography. Courtesy of Servais Family Collection. Is there any particular type of art that has consistently attracted you, or anything that unite all the works you have acquired? I gave an extensive description of the focus of the collection but as far as media are concerned I would like to draw attention to two particularities. First, we collect any media except painting or drawing. It deserves an explanation. Our understanding of the art ecosystem shows us schematically a class contradiction between, on one side, artists who tend to question the status quo and often draw attention to individual or social dysfunctions, and on the other side, art buyers and collectors who are mostly part of the core of this questioned Establishment. For a reason unexplainable to me, the vast majority of art buyers and collectors consider that any trace of painting or other material on a canvas is art and give it a much higher value. We decided to support the artists who take the less instantly rewarding path of not using painting or drawing as a medium. Second, since before 2000, we have been very keen on the broad category of art which we call digital art and consider related to the most important development of our generation: computers and the internet. 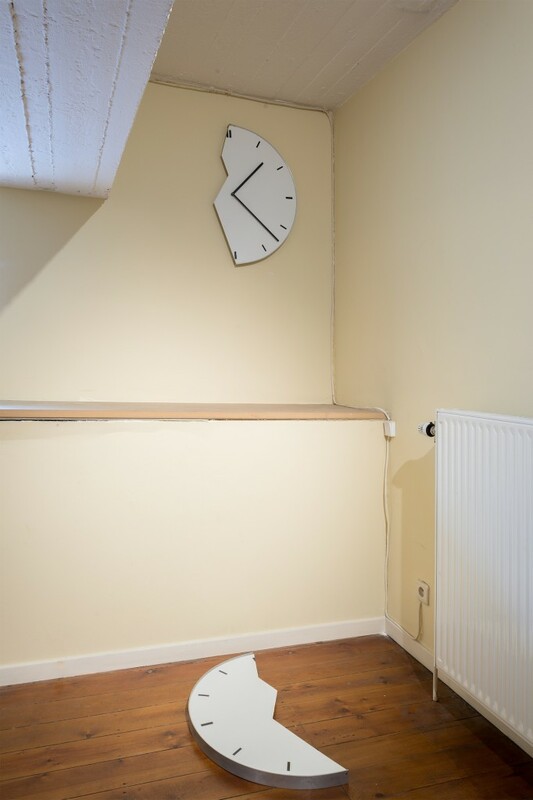 Elmgreen & Dragset – Broken Clock / Powerless Structures, Fig. 245, 2001 © Hugard & Vanoverschelde photography. Courtesy of Servais Family Collection. The first work which I consider part of the collection is a photography by Nan Goldin, which I decided to acquire after being thrilled by the visioning of “the Ballad of Sexual Dependency” at the Whitney Museum. The last one is a young unknown and unrepresented Mexican artist acquired at Salon Acme in Mexico City. Her name is Ana Paula Santana. The collection counts a few hundred works, and displaying it rather than keeping it in storage is a priority. Art only lives when on display. 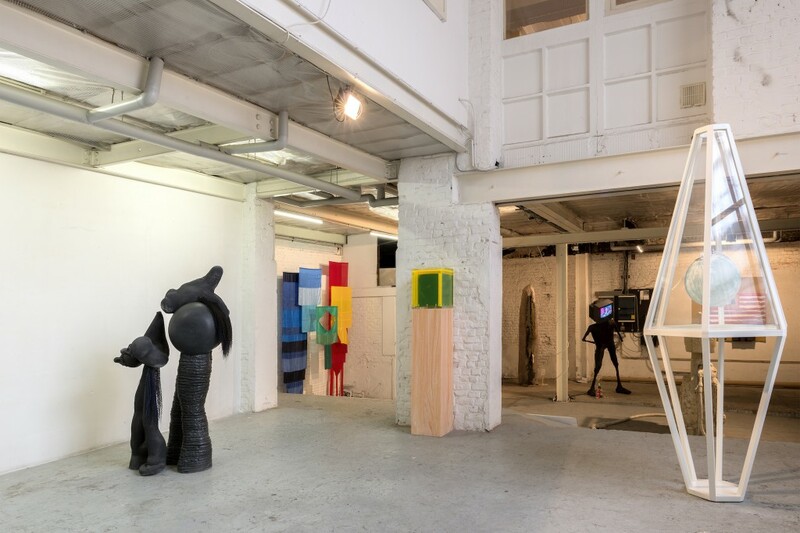 We have the possibility to exhibit it at the Loft, a 900 sqm industrial space in Schaerbeek which is also an artists’ residency, or in the house in Bruxelles, but we also almost always answer positively to any correct loan request and even lend artworks to some friends with no art by themselves. « Forever Young », The Loft , Brussels 2016 | Svay Sareth – Ruins, 2014 © Hugard & Vanoverschelde photography. Courtesy of Servais Family Collection. What motivated you to make your art collection publicly accessible? Sooner or later most collectors will realise that sharing art is an indissociable part of owning it. We are not the exclusive owners of the art but only its custodians. Sharing it is a challenge because it forces us to more self-questioning and is costly, but it is a stage to what we consider the final goal of collecting: living it rather than simply hoarding objects. Would you plan to set up a permanent museum space to display your collection? Why or why not? Absolutely not as it is much too expensive and, in my opinion, vain in its durability. We have the Loft which was my previous home but no desire for a museum. We believe much more in a model of close cooperation with exhibiting institutions, large or not in a way similar to the Sandretto, Broad or Walton collections to various degrees. Institutions are slow to adapt to this overwhelming presence of private collectors. Particularly museums (to the exception of Glenn Lowry at MOMA) seem resistant to the necessary complementarity. 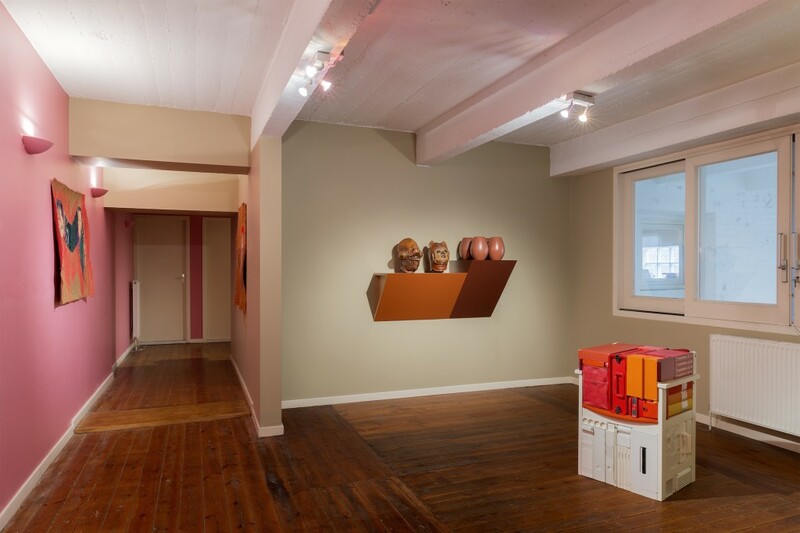 (left – right) Yoon Ji Seon – Rag face #14005, 2014, Haim Steinbach – Supremely Chocolate, 1986, Michael Johansson – Frozen Belongings, 2010 © Hugard & Vanoverschelde photography. Courtesy of Servais Family Collection. 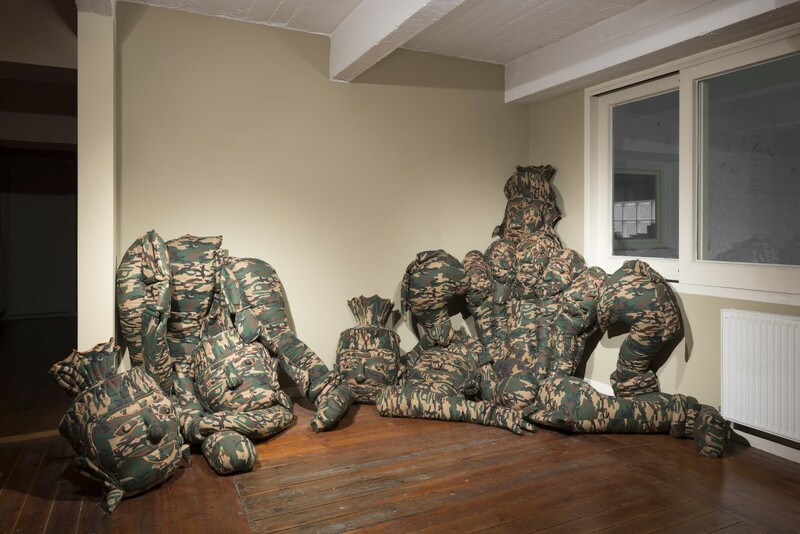 In indistinct order: the way the artist mixes idea or concept with the visual wrapping up, the originality or disruptive quality of the content or the form, the way the subject approached meet those of interest to the collection, the price. What is your advice to young and new art collectors? Try to realize for yourself if you have the curiosity and taste for experimentation to ever be a collector of contemporary art. Like opening up new life horizons, it can be a life-changing experience to learn to think outside of the box, to move away from the handrail and the comfort of what we know to what we don’t know yet, to open up to what is not us. Otherwise art collecting is just another speculative activity of accumulating other luxury goods for social status. When you are ready to this, go to museums and biennials as much as you can before going to art fairs; read or research online on the basis of what art is; try to find yourself a collector who can be your mentor, like I did, or listen or read what he has to tell you; start small as mistake are unavoidable; take your time; challenge yourself every time. 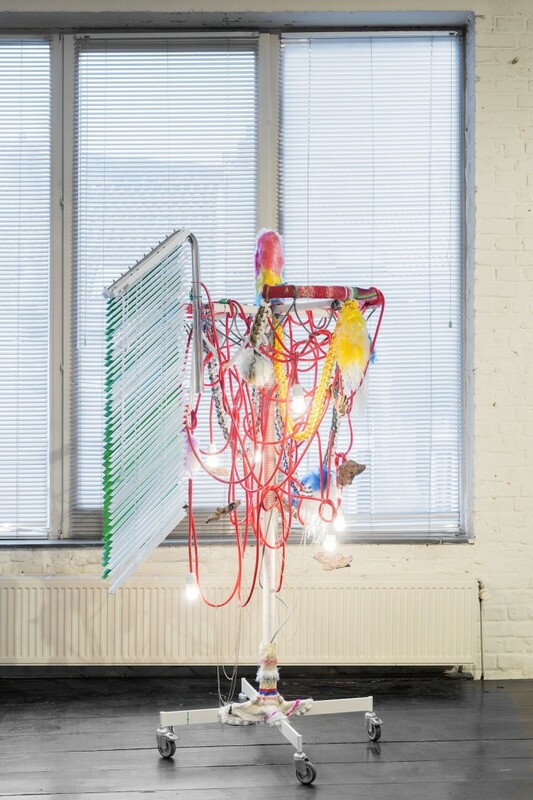 « Forever Young », The Loft , Brussels 2016 | Haegue Yang , Nosy Clown – Mangrove Swamped, 2012 © Hugard & Vanoverschelde photography. Courtesy of Servais Family Collection. A certain hypocrisy that lead too many to believe we are all friends and brothers when eventually we are engaged in a commercial relationship. The wake-up call is only more painful. The necessary condition for maintaining this illusion is a sort of “omerta” ruling the art market where the insiders keep their controlling position by sharing as little true and useful information as possible. You are very active on Twitter. How do you think social media is shaping the art market? I have experienced over the years that the art world is too often extremely under-informed, navel-gazing in a bubble which excludes the evolution of the outside world and even— which is more surprising— its own developments, major or minor. This withdrawal is certainly one reason why the art world and art market are very resistant to any changes. Could I even say conservative? Certainly protective of its entrenched interests. My activity on Twitter is only my contribution to opening up the debate by gathering and sharing any information or quality writing which can feed usefully this debate. 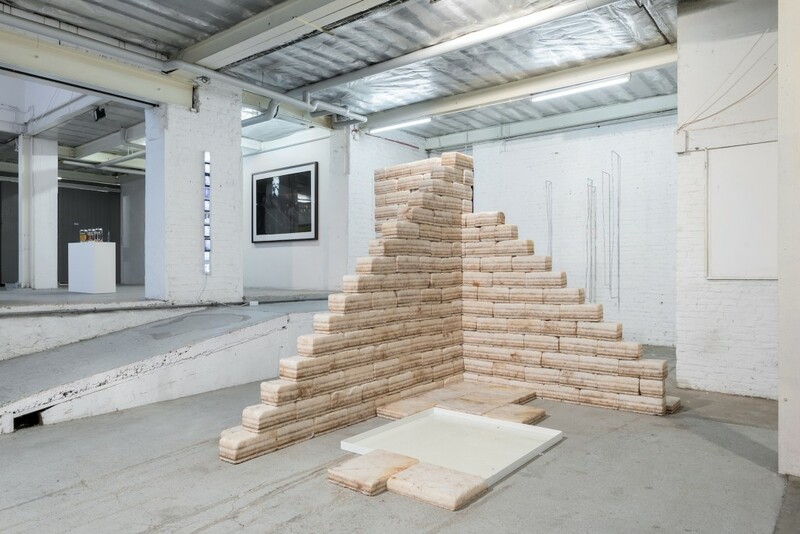 (left – right) Elsa Sahal – Acrobat, 2012, Andrea Canepa – Untitled, 2014, Folkert de Jong – Mater’ialy k b iography, 2015, Julian Charrière – We Are All Astronauts. 2015 © Hugard & Vanoverschelde photography. Courtesy of Servais Family Collection. How does your background in investment banking influence your perception of the art market? What new insights would you have on the art market in 2018, or even the upcoming five years? It definitely brings me to require more rigour and less emotionality when one must discuss the present and the future of the art market. I am every year very disturbed by the scope of art market reports (the main one will be published in March) in comparison with the amount of solid data available or published. 200 dense pages of analysis and conclusions for 3 pages of data and methodology would be laughed at in the banking world and would get a zero in any serious academic environment. This is throwing us back to the limbo of uncritical under-information I mentioned earlier. To answer your question about the art market in the next five years, the 2009 Yale School of Management and Tilburg University Study has shown through two centuries of data that the factor which explains the best the evolution of art prices is income inequality. I would therefore say that art prices will stop climbing only when income inequalities will stop rising with two essential provisos: one, it is now clear that the top 1% is benefiting from most of the income growth when the rest is being squeezed. It is an important observation as the top of the art market is and will perform better in prices than the mid and emerging market; second, the evolution of inequalities is not uniform across countries or continents when the top art market is global but the other layers are mostly local. But beside an investment banker I am also an art lover who realised how art is much more than another investment. It deserves to be preserved and promoted, but mainly in its most radical aspects. I am more worried than excited. I am worried to see so many of the galleries I like closing and many more struggling to survive. It generates a standardisation of the art on offer as it is the lowest common denominator, which sells the best and therefore gets the more “shelf space”. I am worried by the expanding power of auction houses in the distribution of art. It is time that the art industry reacts collegially through still missing empowered professional associations. I am excited to keep observing and supporting the effort of the more far-sighted galleries and institutions to preserve the art in the shadow of the art market industrialisation, particularly through collaborations. I am also curious to see if and how Artsy and other online ventures manage to expand the art market to new customer bases. Ian Cheng – Thousand Islands, Thousand Laws (Miami), 2013 © Hugard & Vanoverschelde photography. Courtesy of Servais Family Collection.